Lila Gemellos and No Paradigm Designs designs and creates colorful, vibrant additions to many homes. Whether it be classic in style and taste, or bright and bold, Gemellos can add to the depth of any room. 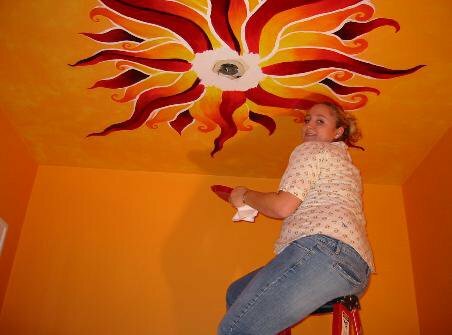 Let her help you add your own or your child’s personality to your home. Painting a little boy or girl’s room is such a pleasure. Children’s murals are designed are active play, meaning they add depth and are of a scale that compliment their toys and imagination. Ready to get started? Request an estimate today. 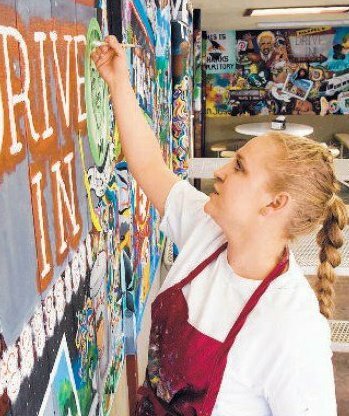 Lila Gemellos has had the honor and exquisite pleasure of painting Doctor’s Offices, well-known Restaurants and Businesses around Santa Clara and Santa Cruz Counties. Gemellos’s work is detailed, and specifically says something about your business and clientele. Lila Gemellos ensures her customer’s happiness by asking the right questions throughout the process. Her experience in property management and construction allows her to anticipate the needs and desires of the business owner. Though many of her clients ask her to be conceptual and imaginative with her work, Gemellos knows the work needs to stand up over time and represent the company above all else. 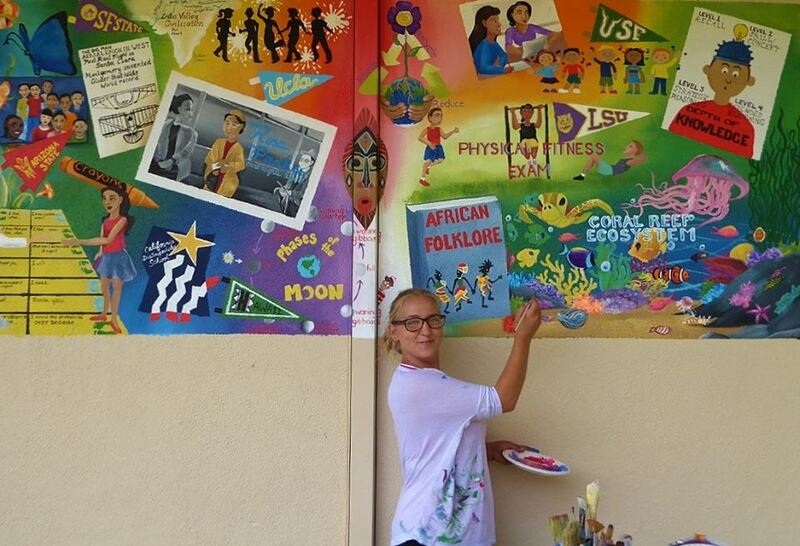 Lila Gemellos has been painting public schools in San Jose, California for several years now. She feels incredibly rewarded by the experience. Gemellos understands that education and beauty can be coupled to create a more welcoming environment to an otherwise sanitary space. Incorporating the academia in the classroom and taking teacher’s and principal’s input, the students and staff feel included and take pride in their school’s makeover. Gemellos can also facilitate student body painting their own mural. Please let us know in your estimate form if this is something you’re interested in.